A young chigga on the grind with a Lion City state of mind. B-Boy, YouTuber, videographer/ editor and accidental actor.One of the more prominent members in Singapore’s longest-lasting and top B-Boy crew, Radikal Forze, Tosh has been deeply involved in Singapore’s Hip-Hop scene. 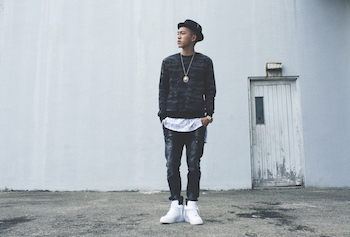 He has represented the +65 in several overseas B-Boy competitions.After gaining fame and popularity with his YouTube vlog channel, he went onto greater heights as a rapper and movie actor in Culture Medallion recipient Jack Neo’s movies. In 2015, expect more music and comedy YouTube videos from him as he prepares to go back to his roots and passion.